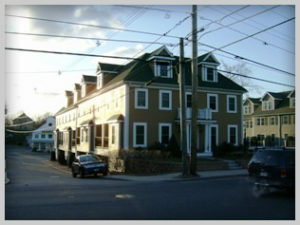 Aurora Exterior Painting was established in 2004 by business partners Marc Ferlo and Alexi Bobolia. We have a combined 36 years of experience in the painting industry. Our vision was and still is to provide homeowners with the best possible home painting experience at a price that is reasonable and affordable. All of the Aurora Exterior Painting crews abide by these same standards. Our crews are all experienced in every aspect of painting procedures and understand the level of quality our clients expect to receive. Before any of our crews step on a job site our customers can be assured that they are getting the right people for the job. At Aurora Exterior Painting we believe in providing higher standards of service as your contractor. We believe that you and your home should be treated with respect and that your experience be a pleasurable one. We hope that you make the decision to work with us and we look forward to servicing you.